On December 13, 1988, Cynthia went to the printer in Maryland to pick up a couple of copies of the Banned in DC book hot off the presses. 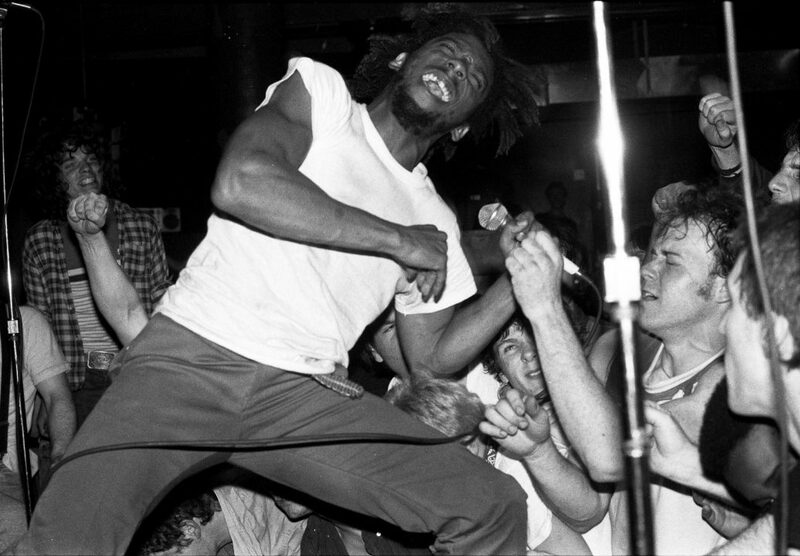 For the thirtieth anniversary of Banned in DC, join Cynthia Connolly, publisher and contributing photographer, for a discussion about documenting a pivotal time in DC’s music history. Released in 1988, Banned in DC, co-authored by Cynthia Connolly, Leslie Clague, and Sharon Cheslow, was one of the first books of its kind, illustrating and chronicling the now-legendary punk scene of Washington DC, with hundreds of photos, flyers, and stories about the bands, venues, and people who populated the shows. The DC scene embodied a spirit of DIY that has come to be synonymous with punk, and it has continued to influence many regional punk scenes around the world. Cynthia will share stories and images of her involvement with a very small group of kids who contributed to a worldwide music movement like no other, then join in a discussion with founding co-editor Leslie Clague and Hirshhorn Curator of Media and Performance Art Mark Beasley. Stick around for a book signing and post-program refreshments. American Sign-Language interpretation will be provided for this program. Banned in DC will be available for purchase in the Hirshhorn bookstore.